by Youth Ocean Advocate Addie M.
On the coast of Washington there is a place called Pacific Beach. It’s remote and overcast 90% of the time, there’s no cell service, it’s always drizly, and often so foggy you can’t see 5 feet in front of you. But the beach has its own magical charm despite the often dismal conditions. This is where I first fell in love with the ocean. During my childhood my family frequently made trips to the aquarium. I loved it there, all the fish and water it made me feel at home. I was often the last of my family to leave having to be dragged out by force. I was captivated by the creatures and their wide range of adaptations. The octopus’s ability to camouflage, the fish’s different scales, and otters feeding habits. More than once I found myself staying up until 4am watching ocean documentaries, leaving me wondering the next morning why I was so tired. It wasn’t until high school that my love of the ocean became an obsession. I wanted to know everything about the ocean. I begged my parents to take me to the aquarium to the point where they were sick of it. But I couldn’t stop, I wanted to knowmore. So when I was offered the chance to take a marine biology class at school I jumped at the opportunity. It was amazingly immersive and I was deeply saddened when it ended. I still wanted to know more about the ocean, I wanted to do something about it. Everything I learned screamed at me to take a stand and protect this unique ecosystem. So when I heard about volunteering at the aquarium I knew that was my chance. The aquarium offered me a whole other place to learn about the ocean. And I got to be around others who were just as enthusiastic about it as me. I’ve learned so much in my time here that it’s made me realize that this is what I want to do. I want to tell people how amazing the ocean is and why it’s so important to protect it. I love the ocean and I want others to feel the same way I do. 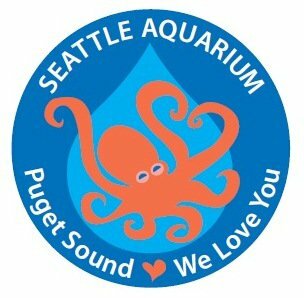 The different opportunities the aquarium provides for its volunteers is truly amazing. I’ve been able to participate in so many different conservation events. It’s provided me with the base interest I need to go to school and study the environment and marine animals. In particular I’ve grown fond of sharks. Their elegance, strength, speed, and power all make them the perfect predator. Although movies have depicted them as killer beasts I prefer to think about them as large scaly cats. The large dentical covered beasts are doing nothing more than try to survive, and humans are making that hard for them. The shark finning industry in particular is a huge factor in shark population decline, often the shark’s fins are cut off then they are thrown back overboard to die. It’s a cruel fate for these amazing creatures. That’s why I’m such an avid shark lover. I want to stop this from happening, sharks have existed for millions of years and humans shouldn’t be the reason for their extinction. That’s why it’s so important that they continue to live as kings and queens of the ocean. And that goes for all animals not just sharks.